In lieu of flowers memorial donations may be made to Community Springs Healthcare Activity Fund and left at the funeral home. Thelma Forest, age 89, of El Dorado Springs, MO, passed away at Community Springs Healthcare on December 9, 2016. She was born January 15, 1927, to Alfred and Mary Marshall on a farm during the Great Depression. Thelma was married to L.D. Forest on November 16, 1946. They celebrated 65 years of marriage before L.D.’s passing December 8, 2011. They were the parents of two children: Gary and Kelly. 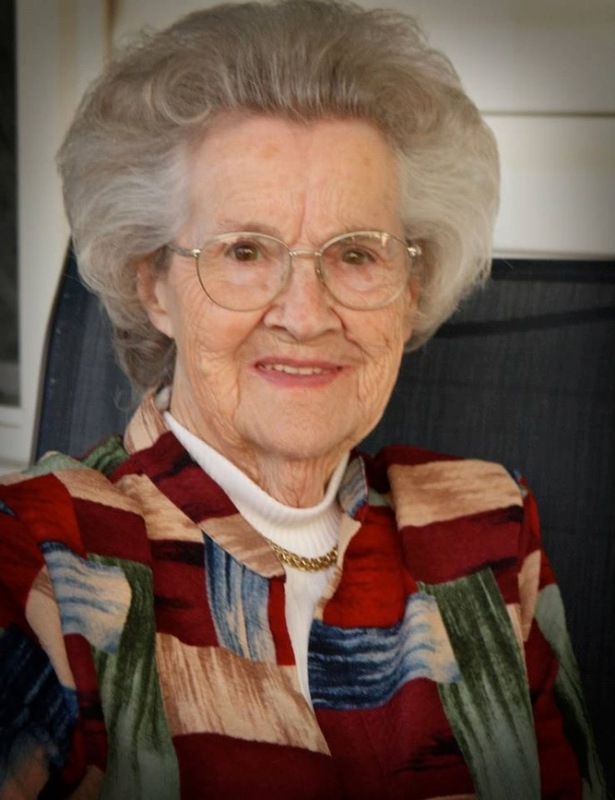 Thelma spent her life teaching and raising her family in El Dorado Springs. She attended a country school called Hudson through elementary, and attended El Dorado Springs High School and graduated May 1945. In order to teach her first year, she took an exam given by the Cedar County Superintendent. At age 18 she qualified to teach her first term of school and was hired to teach that fall at Green Ridge near Olympia. This began a long career of teaching from Oak Grove to El Dorado Springs, on to Schell City, and back to El Dorado Springs. She taught the rest of her thirty plus years in the R-2 School District, with an additional fifteen years substituting after retiring in 1986. She also served as Treasurer for C.C.M.H. Auxiliary. She won her district’s Retired Teachers Award. Thelma was also a member of SORSEA Teachers Union, C.C.M.H. Auxiliary, POPS, Alpha Delta Kappa, R.T.A, First Christian Church, and many other clubs and organizations. She enjoyed cooking, crafts, and quilting. Preceding Thelma in death were her husband, L.D. Forest; parents, Alfred and Mary; brothers, Gerald and Don; and sisters, Fern and Darlene. Survivors include her son, Gary (Kay) Forest; daughter, Kelly Forest (Chris); grandchildren: Amy (Lance) Hedrick, Abby (Trent) Floyd, Brandon (Shannon) Esry, Kensey (Richard) Esry-Paxson and Kassy Wynes; great-grandchildren: Nick, Bentley, Kara, Kaitlyn, Gracen, Paige, Ian, Kenley, Kylee, Alandah, and Jacey; brother, J.C. (Janet) Marshall; sister, Shirley (C.B.) Campbell; and many nieces and nephews. She was blessed by a host of family and friends. During the last two years, Community Springs has been her home and her caregivers were the best. Funeral services for Thelma Forest were held on Sunday, December 11, 2016, at 2:00 p.m. at Bland-Hackleman Funeral Home with Rev. Brent Bland officiating. Music was provided by Kassy Wynes. Burial followed in the El Dorado Springs City Cemetery under the direction of Bland-Hackleman Funeral Home. Pallbearers were: Lindell Marshall, Randy Marshall, Tony Marshall, Mark White, Mark Frieze, and Roger Berning. Honorary pallbearers were: Jeff Newman, Mike Wynes, and Darren Toliver.